This section provides the Ties to the Land workshop featuring Clint Bentz and Mark Green with supporting graphics and video. The workshop is divided into 6 modules, with about 2 hours and 20 minutes total content, plus five interactive activities that a facilitator can customize to the audience. This section of the DVD provides support for workshop hosts & facilitators, including Facilitators Guidelines, activity sheets and draft workshop promotional materials (that can be customized for local workshops). 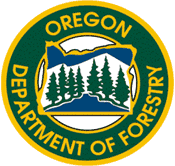 Any group or agency such as a local woodland or Tree Farmer organization, state Forestry departments and Cooperative Extension Programs can sponsor or host a Ties to the Land workshop.